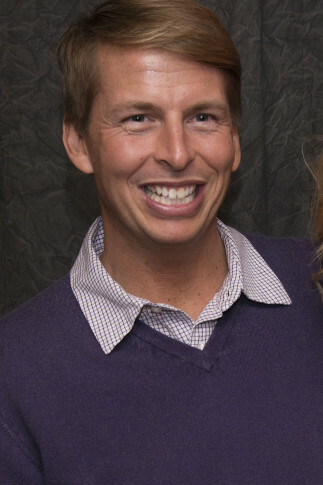 Actor Jack McBrayer is 45 on May 27. May 27: Actress Lee Meriwether is 83. Musician Ramsey Lewis is 83. Actor Louis Gossett Jr. is 82. Actor Bruce Weitz is 75. Singer Bruce Cockburn is 73. Jazz singer Dee Dee Bridgewater is 68. Actor Richard Schiff (”The West Wing”) is 63. Singer Siouxsie Sioux of Siouxsie and the Banshees is 61. Singer-guitarist Neil Finn of Crowded House and Split Enz is 60. Actress Peri Gilpin (”Frasier”) is 57. Comedian Adam Carolla is 54. Actor Todd Bridges (”Diff’rent Strokes”) is 53. Drummer Sean Kinney of Alice in Chains is 52. Actor Paul Bettany (”The Da Vinci Code,” `’A Beautiful Mind”) is 47. Singer-guitarist Brian Desveaux of Nine Days is 47. Actor Jack McBrayer (”30 Rock”) is 45. Rapper Andre 3000 of Outkast is 43. Rapper Jadakiss is 43. TV chef Jamie Oliver is 43. Actor Ben Feldman (”Mad Men”) is 38. Actor Darin Brooks (”The Bold and the Beautiful”) is 34. Actor Chris Colfer (”Glee”) is 28. Actor Ethan Dampf (”American Dreams”) is 24. Actress Desiree Ross (”Greenleaf”) is 19. May 28: Actress Carroll Baker is 87. Singer Gladys Knight is 74. Actress Sondra Locke is 74. Singer Billy Vera is 74. Singer John Fogerty is 73. Musician Jerry Douglas of Alison Krauss and Union Station is 62. Actor Brandon Cruz (”The Courtship of Eddie’s Father”) is 56. Actress Christa Miller (”Scrubs,” `’The Drew Carey Show”) is 54. Country singer Phil Vassar is 54. Singer Chris Ballew of Presidents of the United States of America is 53. Singer Kylie Minogue is 50. Rapper Chubb Rock is 50. Actor Justin Kirk (”Weeds”) is 49. Talk-show host Elisabeth Hasselbeck (”Fox and Friends,” `’The View”) is 41. Actor Jake Johnson (”New Girl”) is 40. Actress Monica Keena (”Dawson’s Creek,” `’Undeclared”) is 39. Actress Alexa Davalos (”Clash of the Titans” `’The Chronicles of Riddick”) is 36. Actor Megalyn Echikunwoke (”24”) is 36. Singer Colbie Caillat is 33. Actress Carey Mulligan (”The Great Gatsby”) is 33. May 29: Actor Kevin Conway (”Gods and Generals”) is 76. Singer Gary Brooker of Procol Harum is 73. Singer Rebbie Jackson is 68. Composer Danny Elfman is 65. Singer LaToya Jackson is 62. Actor Ted Levine (”Monk,” `’The Silence of the Lambs”) is 61. Actress Annette Bening is 60. Actor Rupert Everett is 59. Singer Melissa Etheridge is 57. Actress Lisa Whelchel (”The Facts of Life”) is 55. Guitarist Noel Gallagher (Oasis) is 51. Singer Jayski McGowan of Quad City DJ’s is 51. Actor Anthony Azizi (”Threat Matrix,” `’Lost”) is 49. Guitarist Chan Kinchla of Blues Traveler is 49. Actress Laverne Cox is 46. Guitarist Mark Lee of Third Day is 45. Singer Melanie Brown (”Scary Spice”) of the Spice Girls is 43. Rapper Playa Poncho is 43. Actor Justin Chon (”Deception,” `’Dr. Ken”) is 37. Actor Blake Foster (”Power Rangers Turbo”) is 33. Actor Brandon Mychal Smith (”Sonny With a Chance”) is 29. Actress Lorelei Linklater (”Boyhood”) is 25. May 30: Actor Keir Dullea (”2001: A Space Odyssey”) is 82. Actor Michael J. Pollard is 79. Guitarist Lenny Davidson of The Dave Clark Five is 74. Actor Colm Meaney (”Star Trek: The Next Generation”) is 65. Actor Ted McGinley (”Hope and Faith,” `’Married—With Children”) is 60. Actor Ralph Carter (”Good Times”) is 57. Country singer Wynonna Judd is 54. Guitarist Tom Morello of Audioslave and Rage Against the Machine is 54. Actor Mark Sheppard (”Supernatural”) is 54. Actor John Ross Bowie (”Speechless,” `’The Big Bang Theory”) is 47. Guitarist Patrick Dahlheimer of Live is 47. Singer-actress Idina Menzel is 47. Singer Cee Lo Green (Gnarls Barkley, Goodie Mob) is 43. Rapper Remy Ma is 38. Guitarist James Smith of Underoath is 36. Actor Sean Giambrone (”The Goldbergs”) is 19. Actor Jared Gilmore (”Once Upon a Time,” `’Mad Men”) is 18. May 31: Actor-director Clint Eastwood is 88. Singer Peter Yarrow of Peter, Paul and Mary is 80. Keyboardist Augie Meyers of the Texas Tornadoes and the Sir Douglas Quintet is 78. Actress Sharon Gless (”Cagney and Lacey”) is 75. Actor Tom Berenger is 68. Actor Gregory Harrison is 68. Actor Kyle Secor (”Homicide: Life on the Street”) is 61. Actress Roma Maffia (”Nip/Tuck,” `’Profiler”) is 60. Comedian Chris Elliott is 58. Actress Lea Thompson (”Caroline in the City,” `’Back to the Future”) is 57. Singer Corey Hart is 56. Rapper DMC of Run-DMC is 54. Actress Brooke Shields is 53. Country bassist Ed Adkins of The Derailers is 51. “The Amazing Race” host Phil Keoghan is 51. Jazz bassist Christian McBride is 46. Actress Archie Panjabi (”The Good Wife”) is 46. Actress Merle Dandridge (”Greenleaf”) is 43. Actor Colin Farrell is 42. Trumpet player Scott Klopfenstein of Reel Big Fish is 41. Drummer Andy Hurley of Fall Out Boy is 38. Rapper Waka Flocka Flame is 32. Actor Curtis Williams Jr. (”Parent’Hood”) is 31. Singer Normani Hamilton of Fifth Harmony is 22. June 1: Actor Richard Erdman (”Community,” `’The Tab Hunter Show”) is 93. Singer Pat Boone is 84. Actor Morgan Freeman is 81. Actor Rene Auberjonois (”Benson,” `’Star Trek: Deep Space Nine”) is 78. Actor Brian Cox (”Deadwood”) is 72. Guitarist Ron Wood of the Rolling Stones is 71. Actor Jonathan Pryce is 71. Country singer Ronnie Dunn of Brooks and Dunn is 65. Actress Lisa Hartman Black is 62. Bassist Simon Gallup of The Cure is 58. Comedian Mark Curry (”Hangin’ With Mr. Cooper”) is 57. Actress Teri Polo (”Meet The Parents”) is 49. Model Heidi Klum is 45. Singer Alanis Morissette is 44. Comedian Link Neal of Rhett and Link (YouTube’s “Good Mythical Morning”) is 40. TV host Damien Fahey (MTV’s “Total Request Live”) is 38. Singer Brandi Carlile is 37. Comedian Amy Schumer is 37. Actor Taylor Handley (”The O.C.”) is 34. Actress Willow Shields (”The Hunger Games”) is 18. June 2: Actress Sally Kellerman is 81. Actor Ron Ely (”Tarzan”) is 80. Actor Stacy Keach is 77. Drummer Charlie Watts of the Rolling Stones is 77. Singer Chubby Tavares of Tavares is 74. Actor Jerry Mathers (”Leave It to Beaver”) is 70. Actress Joanna Gleason is 68. Actor Dennis Haysbert (”24”) is 64. Comedian Dana Carvey is 63. Bassist Michael Steele of The Bangles is 63. Singer Tony Hadley of Spandau Ballet is 58. Actor Liam Cunningham (”Game of Thrones”) is 57. Actor Navid Negahban (”Homeland,” `’24”) is 54. Singer Merril Bainbridge is 50. Rapper B-Real of Cypress Hill is 48. Actor Anthony Montgomery (”Star Trek: Enterprise”) is 47. Comedian Wayne Brady is 46. Actor Wentworth Miller (”DC’s Legends of Tomorrow”) is 46. Keyboardist Tim Rice-Oxley of Keane is 42. Actor Zachary Quinto (”Heroes”) is 41. Actress Nikki Cox (”Unhappily Ever After”) is 40. Actor Justin Long (”Accepted,” `’Dodgeball”) is 40. Actor Deon Richmond (”Van Wilder,” `’Scream 3”) is 40. Actress Morena Baccarin (”Gotham,” `’Homeland”) is 39. Singer Irish Grinstead of 702 is 38. Drummer Fabrizio Moretti of The Strokes is 38. Country singer Dan Cahoon of Marshall Dyllon is 35. Singer-songwriter ZZ Ward is 32.